A typical application of the RM21™ microscope is live cell imaging and transmitted light microscopy. A standard option available with the RM21™ is the Köhler illumination tower, which provides a simple yet flexible solution for delivering even illumination to the sample. 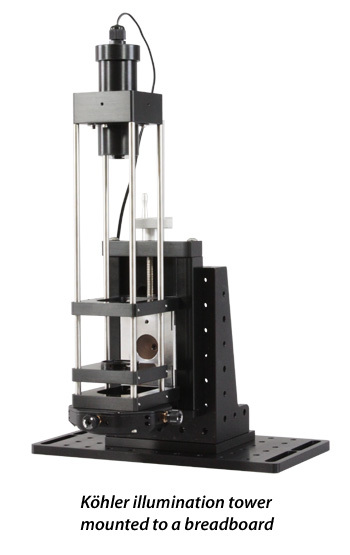 The Köhler illumination tower is designed for ease of use and alignment while providing a long working distance for use with live cell imaging. 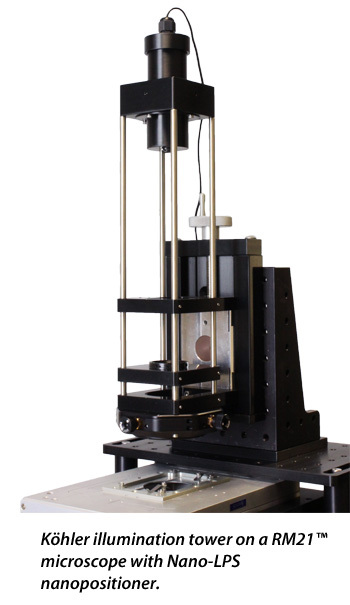 The Köhler illumination tower provides independent control of the illumination intensity and the numerical aperture (NA). The addition of the Köhler illumination tower along with our TIRF microscopy options makes the RM21™ an excellent instrument for single molecule microscopy offering versatility and stability.